John Crane has a strong legacy that dates back to the creation of the Crane Packing Company in 1917. 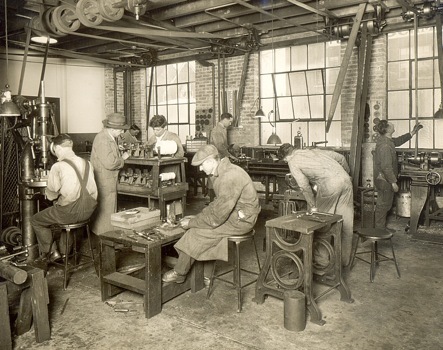 Prior to World War II, the company’s England-based operations were sold to Tube Investments, which resulted in the creation of TI Group. Then in 1987, TI Group acquired the remaining regional operations and the company reunited as John Crane — named after one of the company’s original founders. In 2000, TI Group merged with Smiths Industries to become Smiths Group plc, a global technology company based in London. Today, John Crane is the largest subsidiary of Smiths Group plc. 1930s–1970s — John Crane has achieved many landmark successes through the years, including the design of the world’s first automotive mechanical seal in 1949. The innovative design was soon followed by the development and introduction of the John Crane Type 1, end-face, elastomer bellows shaft seal. This patented product revolutionized sealing technology and is still one of the most widely used seals in the industry. 1980s — John Crane introduced the Type 28, non-contacting, gas-lubricated seal — another breakthrough in sealing technology. It has been used to seal pipeline compressor stations in locations as diverse as the mountains of western Canada, the deserts of the Middle East and the jungles of the Far East. 1990s — John Crane developed non-contacting sealing technology for pumps that handle environmentally sensitive liquids. Applying this technology to a standard American National Standards Institute (ANSI) or American Petroleum Institute (API) pump allows users to meet or exceed the Environmental Protection Agency's (EPA) stringent regulations for hazardous emissions. The company’s interest in R&D and growth through strategic investment led to the acquisition of three sealing companies in 1998 — Sealol, Safematic and Flexibox. These additions extended John Crane's global reach and expanded its product portfolio to include high-quality welded metal bellows seals; proven sealing and lubrication products for the pulp and paper market; and high-temperature and high-pressure cartridge seals for pipeline and refinery applications. The company’s seal support system portfolio grew again with the later acquisition of Lemco. 2000–2013 — In 2007, the company acquired CDI Energy Services, CDI Oilfield Services, Fiberod and Global Energy Products to create the subsidiary John Crane Production Solutions (JCPS). This branch of the company specializes in artificial lift equipment and services for upstream oil and gas production. Over the past decade, new acquisitions have also deepened John Crane’s investment in bearing technology — Sartorius Bearing Technology in 2007, and Orion Corporation and the U.S.-based Turbo Components & Engineering in 2011. The purchase of the Netherlands-based Indufil BV in 2008 added filtration systems to the company’s comprehensive portfolio. 2017 — On March 9, 2017, John Crane celebrated its 100-year anniversary. 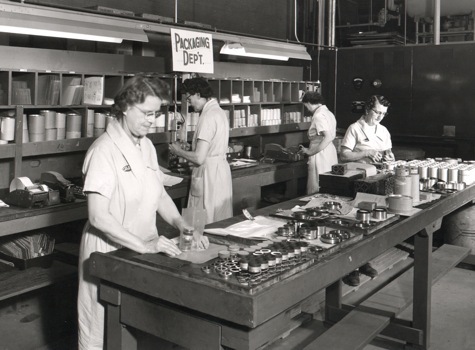 John Crane still offers the mechanical packing and gasket products upon which the Crane Packing Company built its success. Each year, the company manufactures some 238,900 miles of braided packing — almost enough to reach to the moon — along with flat gaskets and live-load packing for valves.